Update, June 5: League of Legends’ new cursor has arrived. If you played League of Legends in its earliest stages, it’s pretty likely that most of the items, champions, and assets you remember from the first couple of seasons have changed almost beyond recognition. Most of its original roster of champions have been reworked at least once, and their number has grown by more than 100 since beta. 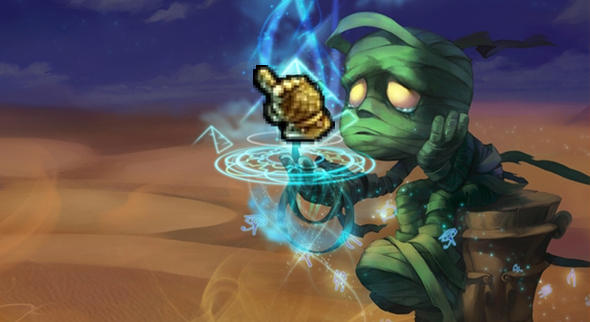 Everything from Runes, to the Jungle, to the Client itself has been changed at some point, but until today, one thing remained the same – League of Legends’ cursor. LoL obviously used to have the best cursor, but who even knows anymore? Anyway, here’s our list of the best MOBAs. The metallic gauntlet, which players use to navigate nearly everything within the game, has remained the one part of League of Legends’ UI that hasn’t changed in the past decade of continuous balance and visual updates. Now, after the announcement last month that the cursor would be replaced, the new model has appeared on the PBE. It’s pretty streamlined, sure, but I feel it just doesn’t capture the charm of the decade-old version that came before. Lead gameplay designer Andrei ‘Meddler’ Van Roon’s recently said that the team have “just started looking at updating LoL’s cursor,” and that it’s “certainly showing its age.” Personally, I always thought it was fine, but who am I to go against the all-powerful Riot Games? You can check out the new cursor in the image below. Riot have taken their time with the new cursor, and it’s possible it takes a little while for it to make its way to the live game. If that’s the case, cherish the time you have left with the old cursor – you never appreciate what you had until it’s too late.